If you want to spend a wonderful vacation in Branson this summer and look for a place where you can have all the perks for all your lodging needs, think no other than Branson log cabins at Cabins at the Grand Mountain. If you choose to stay in a log cabin accommodation that features a relaxing atmosphere in a calm environment, then the cozy log cabin at Cabins at the Grand Mountain is perfect for you. If you want to avoid hassles or delays in getting a comfy accommodation at Thousand Hills, it’s essential for you to plan and reserve a Branson log cabin for you to enjoy a wonderful vacation this summer. If you avail a reservation system, you will save time because you don’t have to wait for hours until your reservation is confirmed. If you book a cabin by completing some easy steps, then you will get the log cabin accommodation you want. The booking system of any hotel will automate the process. When the booking is completed, the system automatically removes the room that you have chosen. With the reservation system, errors are reduced, and no room will be booked for two guests at the same time. The system can’t make the double booking, which makes the reservation process efficient. During the booking process, you will get to know added services offered by the hotel such as gym, spa packages, or city tour guides. A reservation platform is an excellent way for guests to learn feedback and suggestions. When you book your stay, the reservation system has all the details intact, all you have to do is get ready for the day you are going to leave your house. The reservation system is the helping hand that you need to keep your occupancy up and make sure you get the right accommodation at the right time. The perfect summer vacation experience can be enjoyed right here in Branson log cabin where you will find it exciting to see the beauty of nature, unspoiled scenery, the clean waters of the three pristine lakes, and bountiful wildlife. Branson log cabins are dedicated to taking the rustic original cabin experience and enjoying it with luxury yet affordable and accessible location tucked into the heart of the legendary Branson entertainment district. The excellent location of this lodging place assures visitors that the traditional respect and Ozarks hospitality will be on full display when you stay at the log cabin at Cabins at the Grand Mountain. The convenient location of your cabin accommodation gives you the chance to play at the nearby Thousand Hills Golf Course, the most popular 18-hole golf course in a town where you will always receive preferential tee times and green fees. At Cabins at the Grand Mountain, you are sure to experience the beauty and magic of the Ozarks yourself – either for a short vacation or for a lifetime. We are inviting you to stay in our Branson cabins for you to see why more and more people each year fall in love with it and to want to come back again. Branson log cabins are considered as the best accommodation to enjoy during summer because of the cold atmosphere that you feel around the place. Plus the great amenities offered which can help make your stay a wonderful one. The cabins are fully furnished with modern amenities that include wireless internet access, cable TV with HBO, and DVD player. The kitchen of each log cabin is fully equipped with high-end appliances such as fridge, microwave oven, washer/dryer, dishes, pots and pans, and kitchen wares and utensils. According to many satisfied guests of Thousand Hills, the relaxing atmosphere that you can feel in the area is just what makes log cabin accommodation a perfect place to stay. Some people think that the cabin accommodation at Cabins at the Grand Mountain does not provide guests convenience and comfort. Not so with Branson log cabins as it features a beautiful design with high-end amenities. 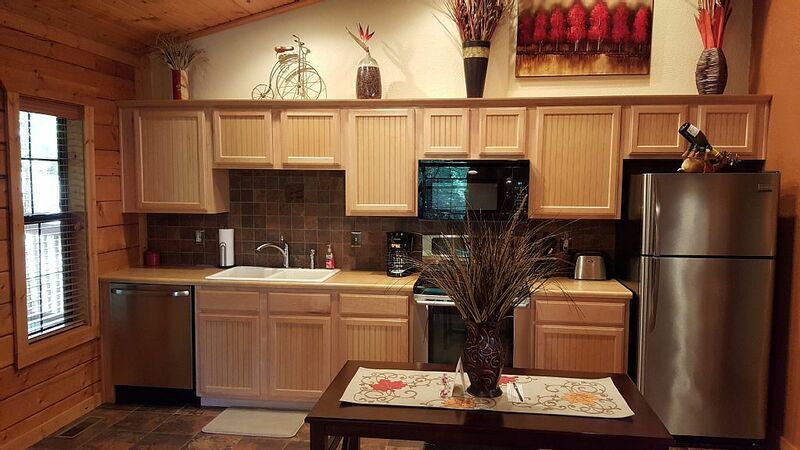 With its convenient location in the very center of Branson’s entertainment area and just about two blocks away from the Highway 76 Strip, this makes Branson log cabin the perfect accommodation to stay. This fantastic lodging place at in Branson assures visitors that they are going to enjoy a comfortable stay. Branson log cabins are the most sought after accommodations in the Ozarks especially for visitors who want to spend a relaxing summer vacation. The beautiful log cabin accommodation at Cabins at the Grand Mountain provides guests convenient and comfortable living that cannot easily be enjoyed in regular hotel rooms. The excellent location of the resort will let you experience a relaxing atmosphere as it is beautifully located in a secluded area. With your cozy log cabin accommodation, you are sure to enjoy a beautiful summer escapade with the whole family. The perfect vacation that you can experience at Cabins at the Grand Mountain is sure to provide you a wonderful time as there are plenty of fun activities to enjoy around the tri-lakes area. We are one of the most preferred log cabin providers by many Branson visitors as it’s in this place where they can enjoy a pleasant stay with great convenience and comfort yet affordable and accessible to many tourist spots in Branson. 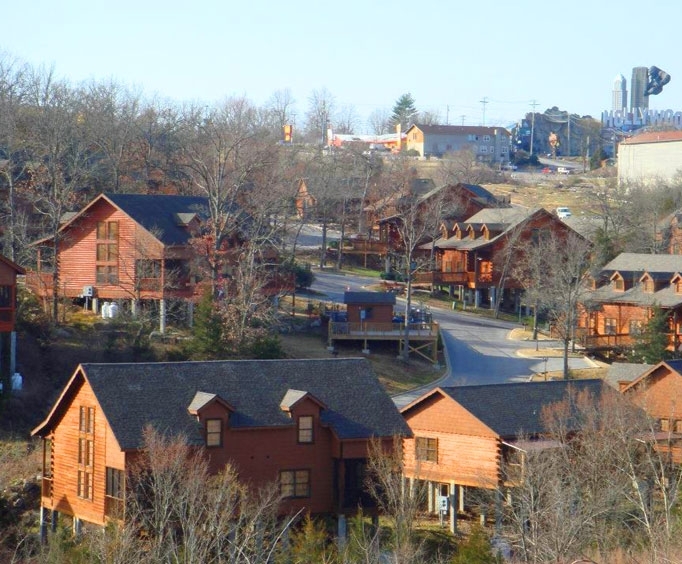 The beautiful location of the log cabins in Branson in a secluded place assures visitors to enjoy a relaxing stay in a tranquil environment. The beautiful location of Branson log cabins near the entertainment district gives you easy access to world-class entertainment shows in many theatres, exciting attractions, museums, outlet shops, and great shopping and dining opportunities. At Thousand Hills, you are sure to experience the beauty and magic of the Ozarks yourself – either for a short vacation or for a lifetime. So, if you want to stay in a perfect Branson log cabin accommodation at Thousand Hills Hotel & Resort, be sure to plan and reserve a cozy log cabin accommodation for your next vacation.